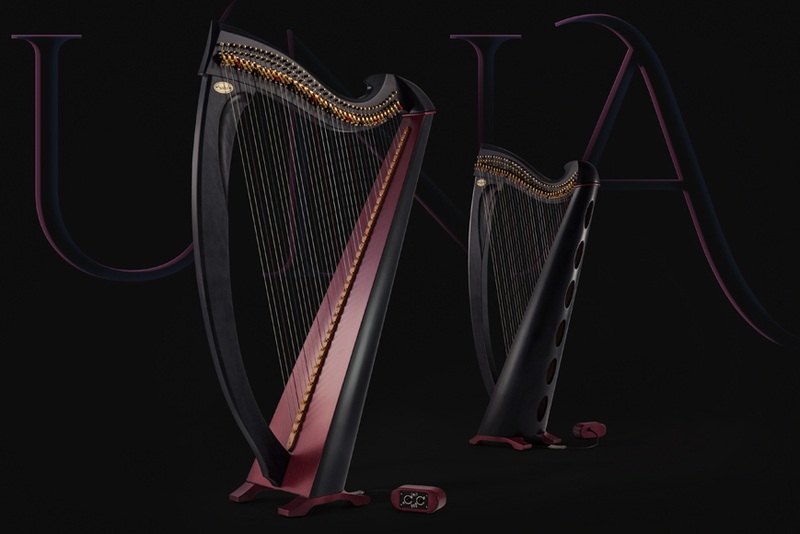 What happened to the Una? 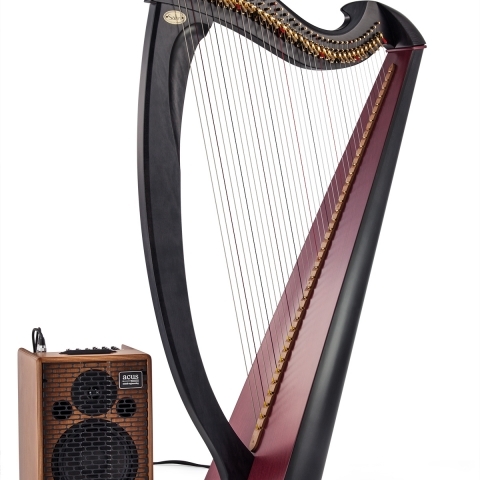 It has gone electroacoustic for the American Harp Society Conference in Redlands, CA! 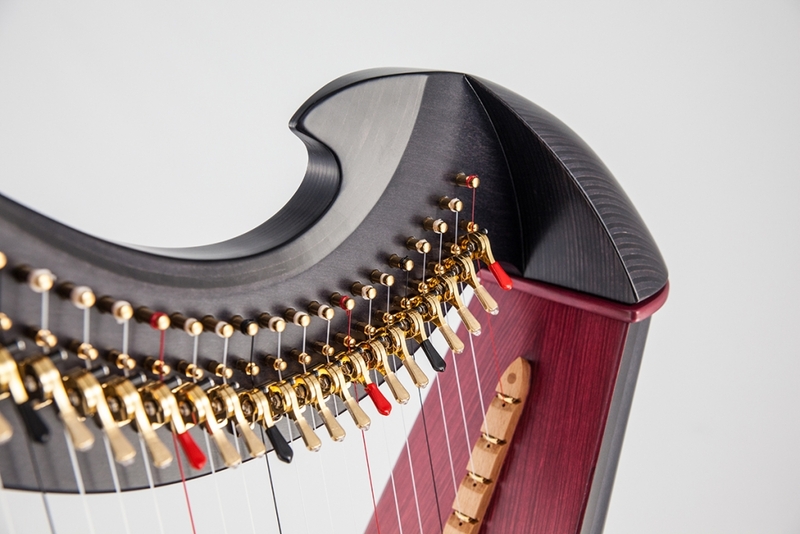 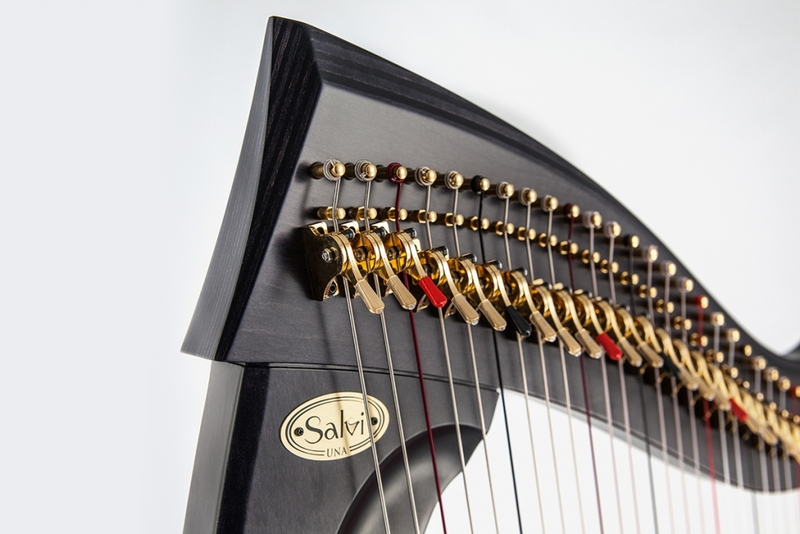 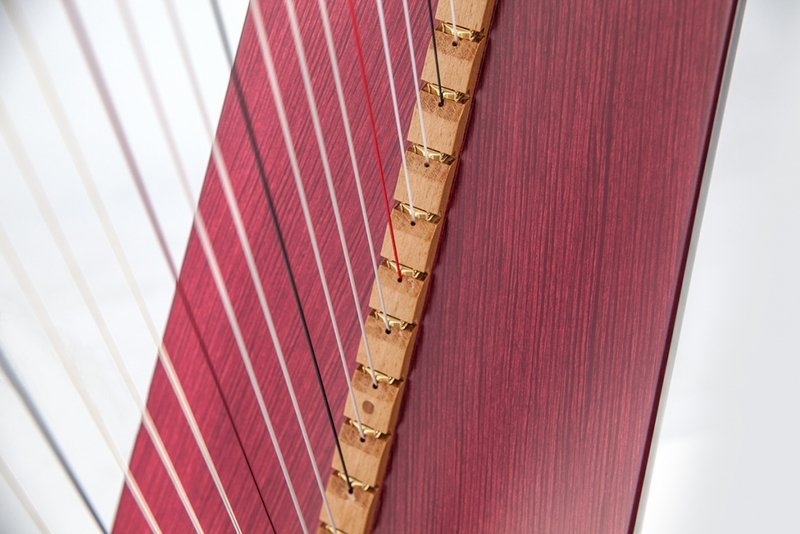 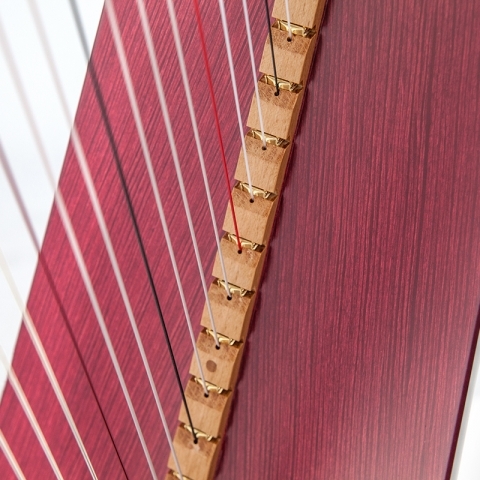 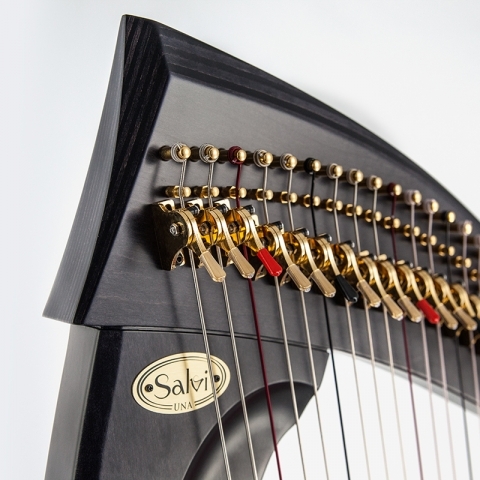 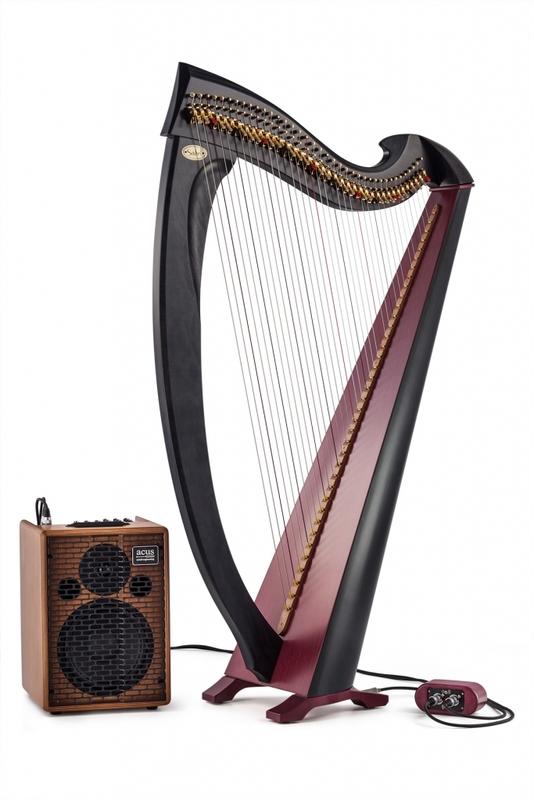 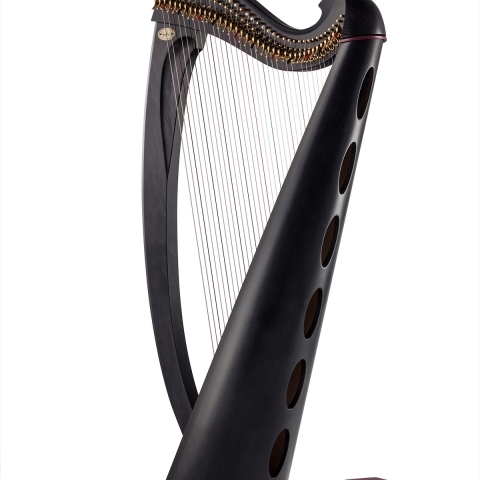 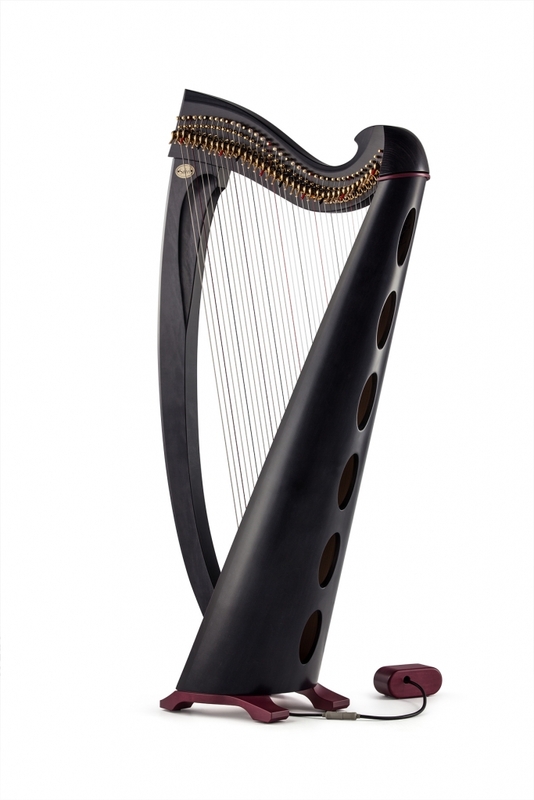 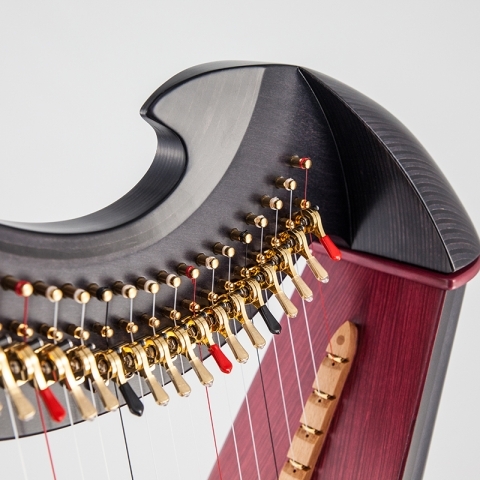 Salvi Harps flipped the switch on the Una’s sophisticated Celtic design by finishing it in warm red and ebony hues with 24kt gold-plated mechanics. 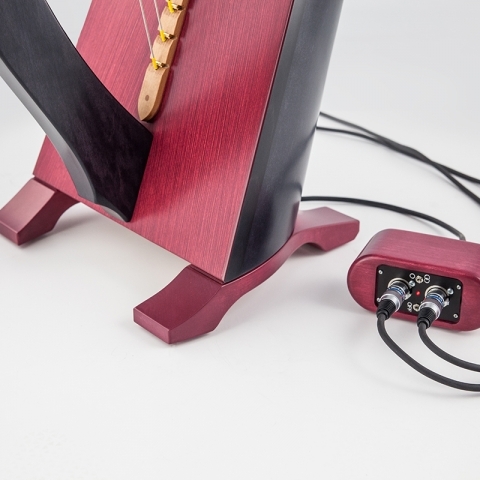 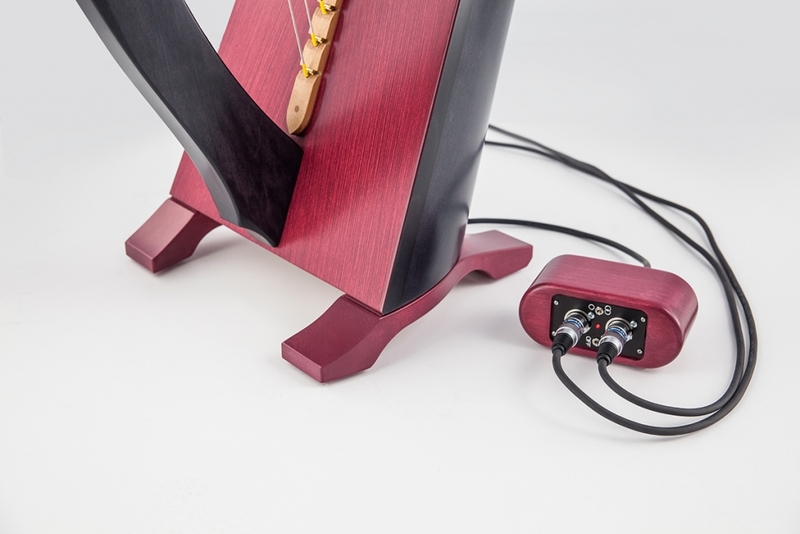 The Una’s rich tones and deep bass are only enhanced with 38 piezoelectric pick-ups that capture the vibrations of each individual string for a finely balanced amplification.